Pioneers in the industry, we offer automatic bottle filling and capping machine, automatic bottle rinsing filling capping machine, automatic water bottle rinsing filling capping machine, water bottle making machine, mustard oil filling machine and oil filling machine from India. 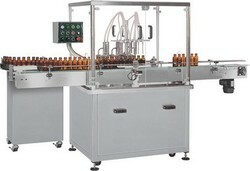 We are offering Automatic Bottle Filling and Capping Machine to our clients. With sincerity and hard work of our professionals, we have carved a niche for ourselves in this domain by offering Automatic Bottle Filling and Capping Machine. Highly suitable for mineral water packaging solutions like rinsing, filling and capping, we offer our range of filling and capping machine that can also be custom build as per the requirement of the clients. 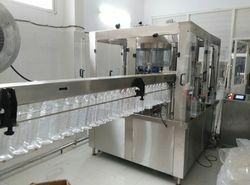 The offered filling and capping machine is used for filling liquids into containers, plastic PET Bottles, glass and others, after which they are automatically capped with the choices of snap fit caps and screw caps. Suitable for food and beverages, chemicals, pharmaceuticals, cosmetic application and other allied companies/industries. 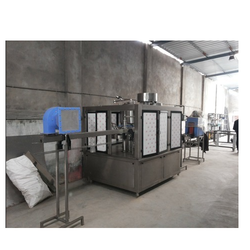 We are offering Automatic Bottle Rinsing Filling Capping Machine to our clients.To retain our goodwill in clients' consideration, we manufacture, distribute and supply a quality approved Bottle Rinsing Filling Capping Machine. The offered capping machine has a perfect way of executing the packaging operation without making errors. 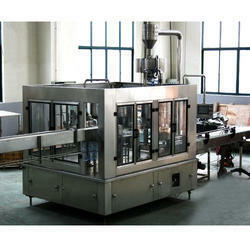 The capping machine can be adjusted as per the required packing that is in a bottle or a pouch. The products like automatic jar filling machine, shrink tunnel, cup filling and foil sealing machine offered under this category are ensured to deliver quality results and possess longer functional life. We are offering Automatic Water Bottle Rinsing Filling Capping Machine to our clients. Water bottling making machine useful for mineral water and pharma company. we obligate to meet the quality standards, as per the customers demand. Automatic liquid filling machine is used to fill edible oil, machine oil, ghee etc. we have all kind of automation in this machine. 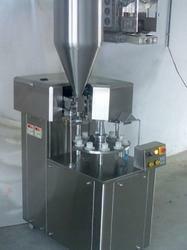 We are offering Tube Filling and Sealing Machines to our clients.